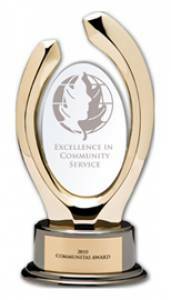 The CCGA has won a 2010 Communitas Award in the category “Leadership in Organization´s Community Service”. Communitas Awards seeks to honour those special organizations that go beyond rhetoric and whose commitment sets them apart. Communitas winners are dedicated to helping people in their communities and are changing the way they do business to benefit their communities and environment. The Communitas Awards is an international effort to recognize exceptional organizations that are unselfishly giving of themselves and their resources, and those that are changing how they do business to benefit their communities. Nominees are evaluated on the extent and effectiveness of their efforts.